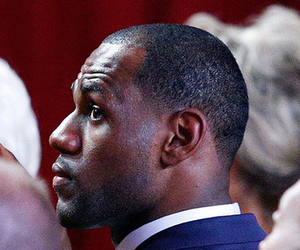 LeBron James has a new agent: childhood friend Rich Paul. How does William "Worldwide Wes" Wesley fit in to the New 'Bron Order? More closely than you might think. Sep 13, 2012 - NBA stars switch agents all of the time -- even St. Kevin Durant made a move in 2012. But when LeBron James, the best basketball player in the world, leaves what is considered basketball's most powerful stable, Creative Artists Agency, months after pulling off an MVP-NBA Champion-Gold Medal sweep -- it does not get bigger than that. Liz Mullen reported late Wednesday that LeBron has elected to leave CAA and agent Leon Rose and instead be represented by his close friend, Rich Paul. Paul himself will be leaving CAA, where he has had a number of clients including Tristan Thompson and Eric Bledsoe. On the surface, this is a massive blow to CAA. Certainly, it's a blow to Rose -- LeBron's next contract should be signed in 2014, and I imagine 5 percent of that deal will be a pretty penny. (Rose would figure to make about $1 million per year on LeBron just for drawing up a max contract and getting it signed.) But CAA isn't all about Rose or Henry Thomas (the agent for Chris Bosh and Dwyane Wade). The central figure in the recent rise of CAA is, of course, William "Worldwide Wes" Wesley, the mysterious power broker who seems to permeate all basketball pores these days. Worldwide Wes has two major, concrete nexus points in basketball: he unabashedly delivers blue chip prospects to John Calipari, and he is considered to be Leon Rose's right hand. Wes is actually a licensed NCAA coaches' agent -- he represents Cal and Auburn's Tony Barbee (a Calipari disciple). In the NBA, the players most closely tied to Wes -- Rip Hamilton, Dajuan Wagner, LeBron, Chris Paul, Eddy Curry -- have all been represented by Rose. LeBron's move damages Rose, so it would seem to damage Wes, right? But it would appear that instead, it'll only broaden Wesley's power base to outside of CAA. The key name in all of this, to me, is Michael Kidd-Gilchrist. No Calipari player in recent years has been more closely tied in the public eye to Worldwide Wes than MKG, who was the No. 2 pick in June's draft. On Kentucky's championship team, in fact, only one drafted player -- MKG -- signed with CAA. But Kidd-Gilchrist didn't sign with Leon Rose. He signed with Rich Paul, LeBron's new agent. The last great Kentucky team, starring John Wall, DeMarcus Cousins and Eric Bledsoe, had one player land with Wesley's CAA: Eric Bledsoe. Bledsoe's lead representative? Rich Paul, not Leon Rose. When Rich Paul strikes out on his own -- Yahoo! 's Marc Spears reports the agency will be named Klutch Sports Management, which is wholly unfortunate -- he could quickly have three players closely tied to Worldwide Wes on his roster in LeBron, MKG and Bledsoe. MKG is four years from a new basketball contract, and it's unclear whether he'll do his marketing deals through LeBron's LRMR (which manages James' endorsements and has tried to build a client base). Something tells me that even though Rich Paul is no longer in the employ of CAA, Mr. Wesley will still have his ear. And the same goes for, at the very least, MKG, if not the other players as well. So while this news weakens the bottom lines of Rose and CAA, it only gives Worldwide Wes another agency's shadows to operate within. I don't mean to imply that Paul couldn't have landed Kidd-Gilchrist without Wesley's blessing, but there's no question that approval likely played a role in MKG's decision. It's unlikely Rich Paul will forget that debt as he builds his company. Of course, it's also likely that Rose, Wes and everyone else saw this coming a mile away. When CAA brought Paul in as a rookie agent, it must have been obvious if not openly stated that LeBron would want to be represented by his friend eventually, just as he wanted his friends to manage his marketing portfolio as soon as they went into business together. That doesn't explain why Paul, not Rose, ended up with Kidd-Gilchrist, a legit potential star (unlike Bledsoe, who was a mid-first pick). In addition to Kidd-Gilchrist, the next domino to watch is Chris Paul, no relation to the agent. CP3 is close to LeBron, Worldwide Wes and Rich Paul. He is also 2013's biggest free agent, and will quite possibly sign a $100 million contract with the Clippers. Will he follow King James to Klutch, or will Rose hang on to this star? A lot of money is at stake, and there could quite possibly heavy pressure on each side. Because of these developments, though, it remains to be seen which side Worldwide Wes will be on. The Hook is a daily NBA column by Tom Ziller. See the archives.